Master Ko (Lam Ching Ying) faces the daunting task of re-burying a rich man's father -- in the hope that the new tomb will bring further prosperity. The frightening twist comes when the corpse comes back to life with a foul and vengeful netherworld gang. 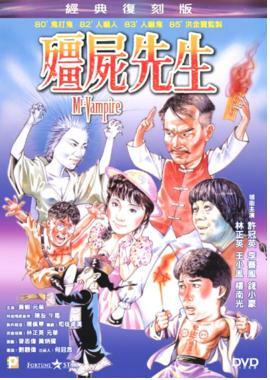 Desperately trying to right his wrongs, Master Ko finds himself sinking in deep trouble as apprentice Dan (Ricky Hui) turns into a vampire himself and apprentice Harry (Chin Siu Ho) is reduced to a weak soul possessed by a fierce ghost.